My family is one that is divided. 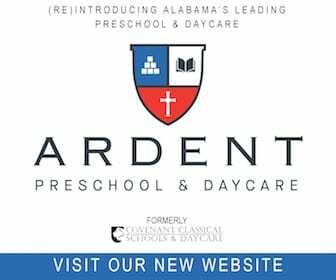 No, not Alabama vs Auburn, more like STEM vs STEAM. One of my kids loves all things space, aviation, and astrophysics, while the other is more inclined to prefer The Arts. 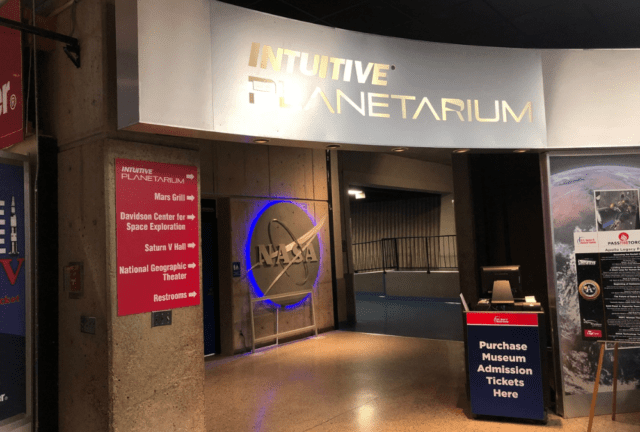 Luckily, the whole family was in for a treat when we visited the U.S. Space & Rocket Center to see the new INTUITIVE® Planetarium. When we arrived at the main entrance to the Space Center Museum, it was just a short walk through the gift shop to the ticket desk. There, you can purchase Planetarium tickets, as well as combo tickets for the Planetarium + the Museum to see their latest exhibit. Pro-Tip: A Combo ticket will save you money if you haven’t been through the USSRC Museum in a while. 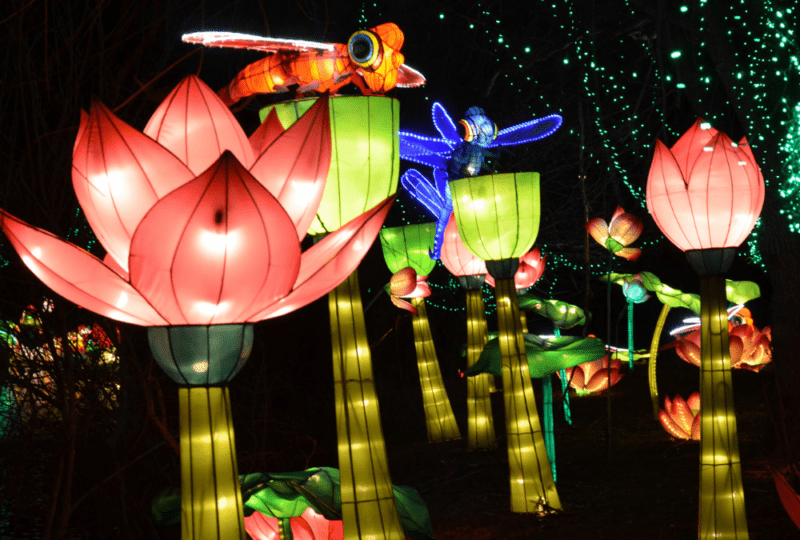 They change out their featured hands-on exhibits often, and it’s so worth it for a local to visit again and again! From the ticket counter it’s a short walk down the hallway to the INTUITIVE Planetarium. If you’ve ever been to an IMAX movie in the dome theater there, this is the space that has been converted to the new planetarium. 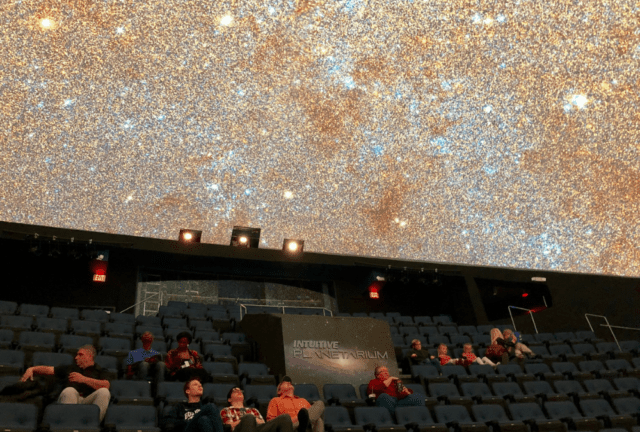 The old dome theater got a complete makeover to create the planetarium, from the seating to the screen to the projectors! It’s the first location to have the new Evans & Sutherland Christie 4K RGB laser system, which is techno-speak for what is an exceptionally clear picture on the screen. 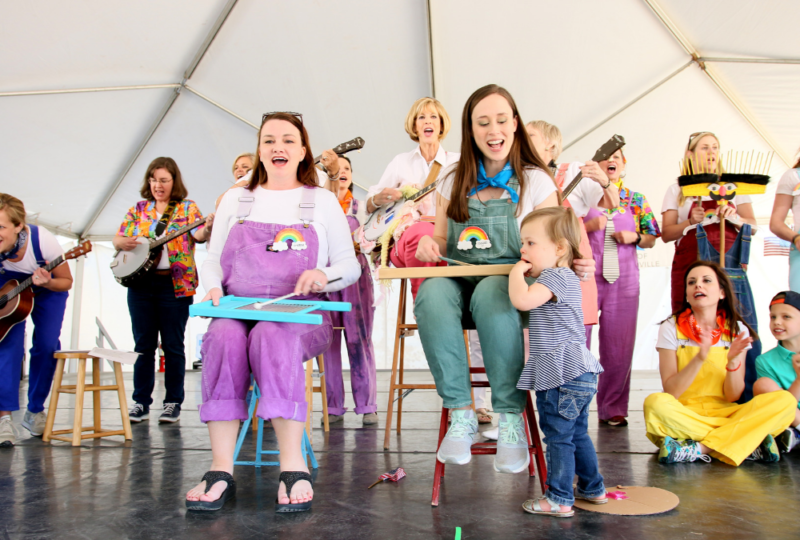 The show is amazing, and it’s hard to describe – you really do need to experience it for yourself. “Immersive” is a great adjective that comes to mind. There were times I even got a bit of vertigo trying to see it all! We learned about the Aztecs and other early stargazers, how astrology gave way to Astronomy, and where it might all take us next. And that’s just ONE of the shows available to watch at the Planetarium! There are a few different daily shows to choose from, and since I had older kids, we chose “Explore”. It’s a multiple award-winning film that traces space exploration from the earliest days of ancient astronomy to the future of Mars colonization. It was stunning! 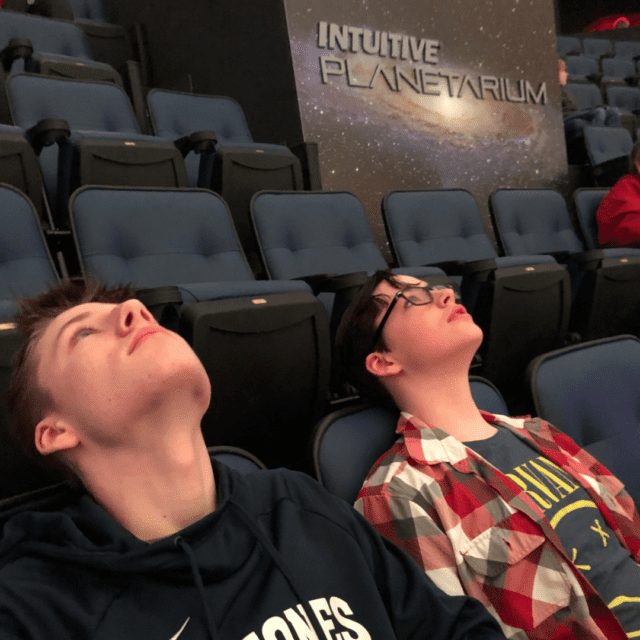 My family really enjoyed tilting back our heads to see the entire dome full of the constellations, as well as epic scenes of star-gazing civilizations throughout history. Our show lasted 30 minutes. “Destination Solar System” has a live tour guide taking the audience on a trip through the solar system. This combination live performance and show is visually fascinating with lots of facts about space. 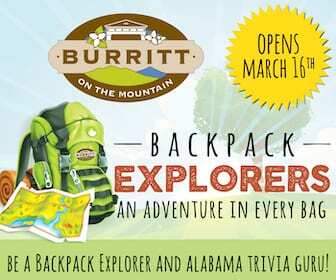 This is aimed for all ages but skews younger than “Explore”. “Galileo First Light” is an in-house produced program that has a live actor portraying Galileo as he is under house arrest for believing in Copernicus’ discovery that the Earth revolved around the sun. Don’t Forget Spacey Movie Snacks! If you need some movie snacks, there is a concession stand in the theater lobby. The usual popcorn, nachos, pretzels, sodas, and candy are all available. They also have wraps & sandwiches as well as alcoholic beverages during special events. Prices range from $4-8 on the usual snacks, and combos are available. 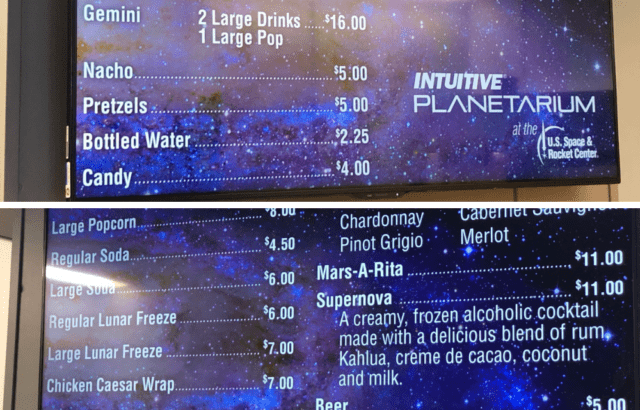 A sample of the concessions menu. 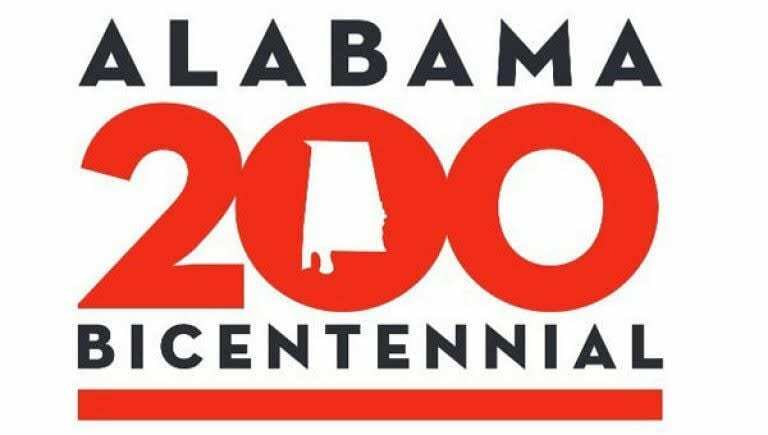 In addition to the daily shows, the U.S. Space & Rocket Center is also hosting some special events in the Planetarium. 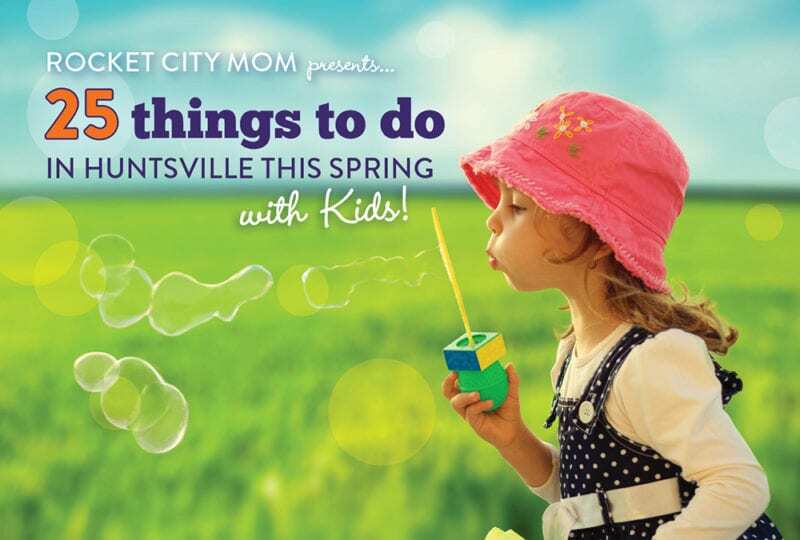 Monthly astronomy shows of the Huntsville sky, super cool evening lectures, Date Nights in the Dome (with childcare included! ), and Cocktails & Cosmos, are all after-hours events. Be sure to check back on their schedule page often for what’s coming up! 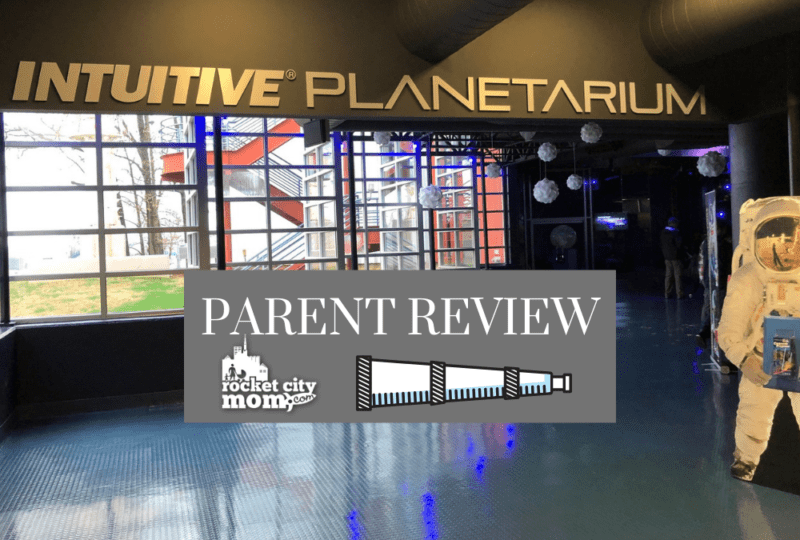 Final Thoughts: My family had a great time at the new planetarium, and we will definitely be back to see all the other shows. The picture and sound were beyond compare, and my kids learned a lot about the differences between Copernican & Keplerian orbits in a fun way. I love how the USSRC has thought to pair Date Nights for parents that includes childcare in the Spark!Lab of the Museum, and hope other local attractions follow suit! 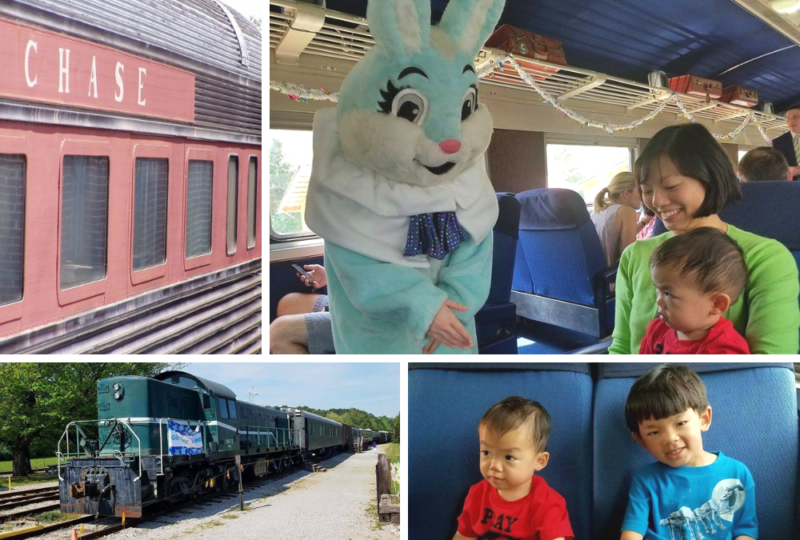 It’s a great option for a family night or afternoon. 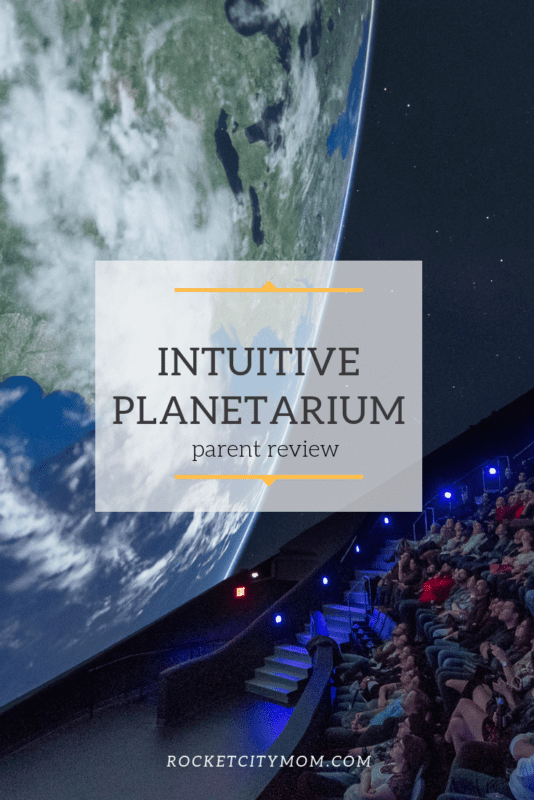 INTUITIVE® Planetarium tickets are sold separately from museum tickets.